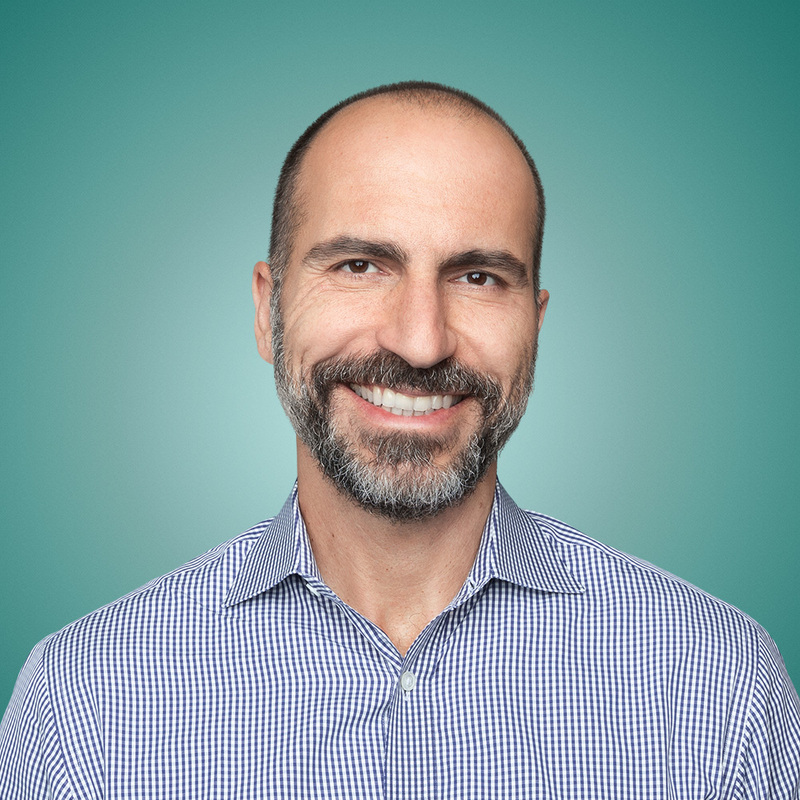 Dara Khosrowshahi is the CEO of Uber, where he manages the company’s fast-growing business in 65 countries around the world and leads a global team of more than 16,000 employees. Dara was previously CEO of Expedia, which he grew into one of the world’s largest online travel companies. A seasoned executive with a background in both engineering and finance, Dara oversaw a number of acquisitions that bolstered Expedia’s offerings and aggressively invested in mobile, which now accounts for more than half of Expedia’s traffic. He was also beloved by Expedia’s employees and named one of the Highest Rated CEOs on Glassdoor. Dara was promoted to Expedia CEO after serving as the Chief Financial Officer of IAC Travel, a division of IAC, which purchased Expedia in 2002 and spun it off in 2005. He was also instrumental in the expansion of IAC’s portfolio of travel brands. Before joining IAC, Dara served as Vice President of Allen & Company and spent a number of years as an analyst. He currently serves on the Board of Directors of Expedia and was previously on the board of the New York Times Company. He’s a passionate advocate for refugees in crisis around the world, having himself left Iran during the Iranian Revolution at the age of 9. Dara grew up in Tarrytown, New York, and received his bachelor’s degree in engineering from Brown University.